A birdwatching weekend saw me and a mate spend 5 days in the south east of Bulgaria. Agriculturally still quite manual, there are plenty of bird species that are suffering n the UK’s intensive farming environment, and the fields were alive with Corn Buntings, Red-backed Shrikes and Yellow Wagtails. We were located in the Rhodope mountains and spent our time looking for vultures, birds of prey and assorted warblers. Managed just over 100 species in 4 days which represented good value for money. 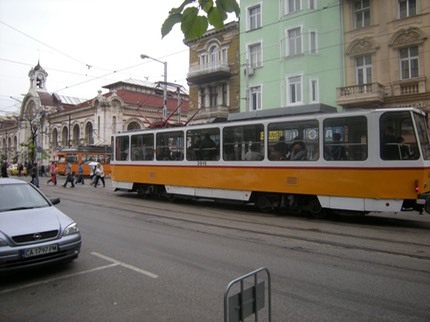 I extended a work trip to Bucharest and took the overnight train to Sofia. A 10+ hour train with passport and regular ticket checks, preventing much sleep. The birdlife out of the window was great; Golden Oriole, European Roller, White Stork amongst others. After arrival in Sofia I walked into the centre to see what was on offer, avoiding the tour touts at the station. A great variety of religious buildings to start with. Churches of many denominations, a Mosque and a synagogue. Each nice in its own way. This is the church which sits in the middle of the main road forcing vehicles to cicrle around. 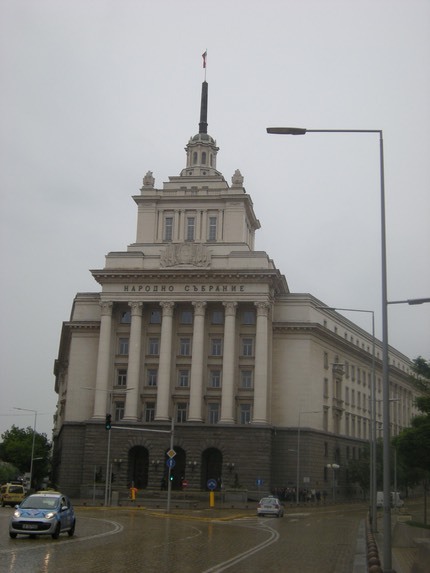 With its Communist past it is not surviving that the old party headquarters are massive and impressive. 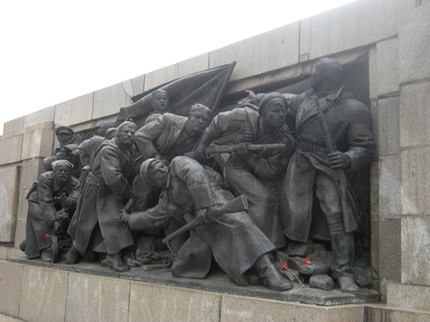 An imposing Russian War Memorial is situated in a well-spaced out park. Around the memorial you will see kids on skateboards and bikes. A quick mention for the food and drink. Portions are massive and cheap. 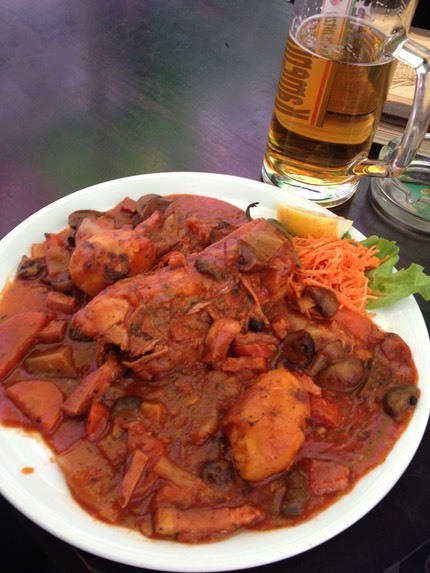 I paid the equivalent of £4 for this rabbit saddle dish with vegetables. It was delicious and the accompanying beer was less than £1. Cool. Jonna went here when she was young. There was a dancing bear. Cruelly, Jonna's dad gave it money to dance. Lock him up!. 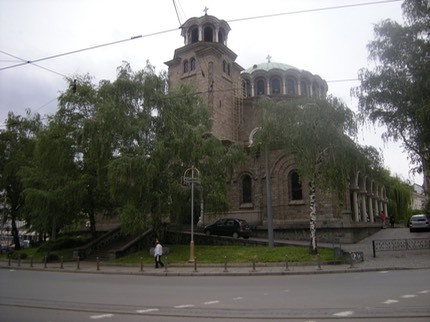 The people here were fairly miserable as well, according to Jonna, so her Dad was often mistaken for a Bulgarian.